Sylveanus Augustus "Vean" Gregg was born April 13, 1885, in Chehalis, Washington. For three years, the left-hander was one of the most dominant pitchers in the major leagues. 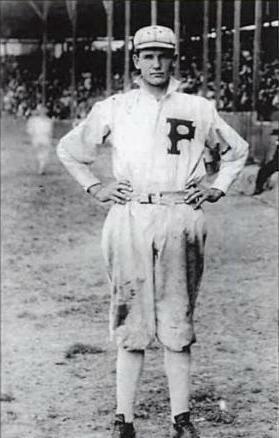 He started his professional career in Portland, Oregon in 1910 with the Pacific Coast League. He threw 14 shutouts. The next year, he played for the Cleveland Naps, going 23–7 with a league leading 1.80 ERA. In 1912 and 1913, he started 34 games both years with an identical 20–13 record each season. 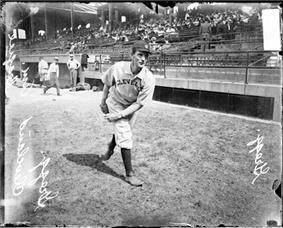 Gregg was traded to the Boston Red Sox in mid-1914. He played for them on both the 1915 and 1916 World Series championship teams. He developed a sore arm in 1914 and had continual arm problems for the rest of his career. In December 1917, Connie Mack acquired Gregg for the Philadelphia Athletics. He went 9–14 in 30 games in 1918 with a respectable 3.12 ERA for the last-place Athletics. Gregg did not play baseball at any level from 1919 to 1921. Vean Gregg with the Cleveland Indians. He returned to the Pacific Coast League in Seattle, Washington in 1922 and played there until 1924. In 1925, he signed with the Washington Senators and went 2–2 with two saves after a 6-year absence from major league baseball. He later was inducted in the Pacific Coast League Hall of Fame. Gregg's major league career record is 92–63 with a lifetime 2.70 ERA in 1,393 innings pitched and 720 strikeouts. He was the only pitcher in the 20th century to win 20 games or more in his first three seasons. His brother, Dave, pitched one inning in 1913 as Vean's teammate for the Cleveland Naps. Vean Gregg died on July 29, 1964 in Aberdeen, Washington.